The tin also contains a luxury full colour booklet with a short explanation of the story behind the Antwerp Hands. Antwerp Hands are a traditional gift and an official Antwerp quality product. 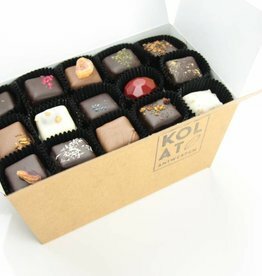 This luxury box contains 24 plain chocolate hands in white, dark and milk chocolate.